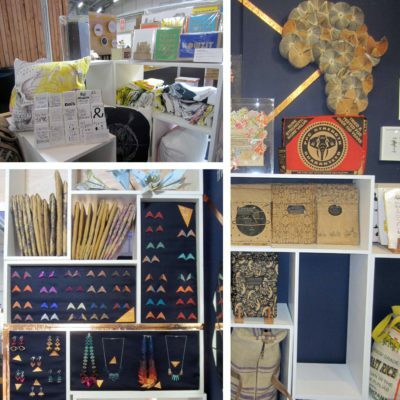 This is the fourth year we have exhibited at the Design Indaba and it was by far our most successful. 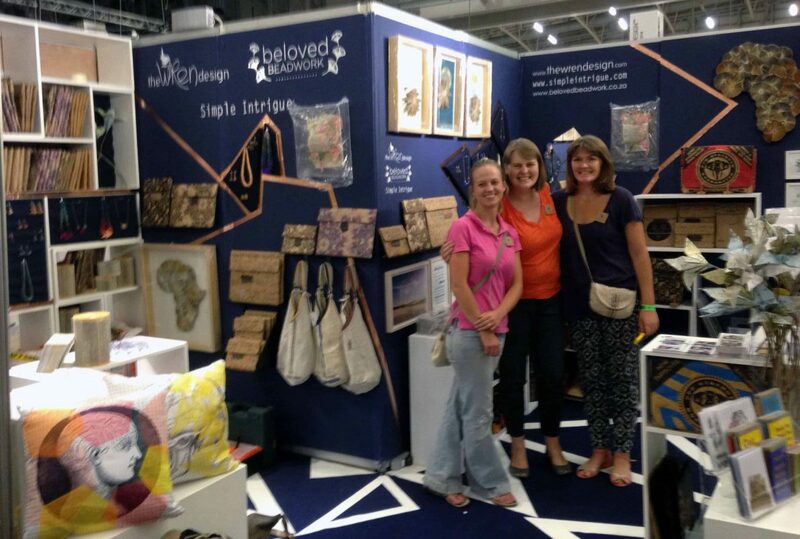 Joining up with fellow designers Anna Richerby from Beloved Beadwork and Keri Muller from Simple Intrigue proved to be a terrific idea as what would have been an ordinary exhibition space became one filled with diversity. The walls were painted a deep blue – almost indigo and we used copper electrical tape to create a geometric outline along the walls (did you know that copper tape also keeps snails and slugs away?). 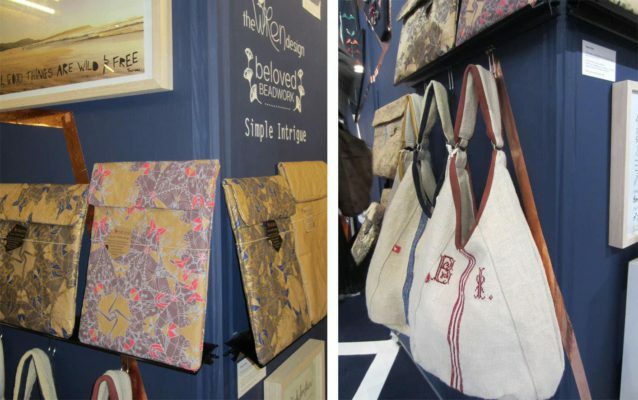 The copper tape also helped guide the eye through, and highlight, the jewellery, paper sleeves and prints on display. Did you notice our floor? Cutting geometric triangles out of the standard blue and white carpet pieces we created a geometric design. For shelving we discovered the wonderful world of L-blocks. None of us are sure how we lived without them before. I expect that you will see them in every display of ours going forward. They are just so functional! I always try to have new product for Design Indaba and this year was no exception. However, new products also always present problems and as time marches on, the wild and wonderful ideas I had are toned down and put aside as the products become priority. This year was different: by working in a team the workload was shared and we were able to do things like create a floor pattern, discover copper (anti-slug) tape and paint the walls a gorgeous blue. Thanks Anna and Keri for a beautiful stand! Thanks Jeremy, Laurance, Steven, Kathleen and Monica for all your help during the exhibition. We could not have done it without you! 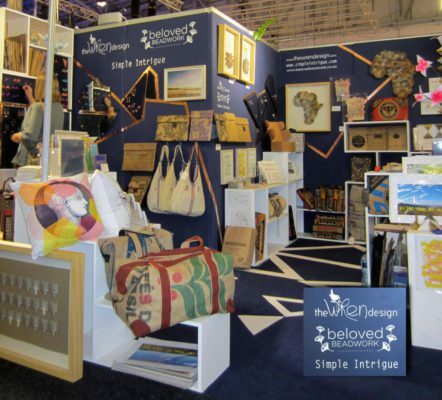 This entry was posted in Blog and tagged Anna Richerby, Beloved Beadwork, Design Indaba 2014, Design Indaba stand, DI2014, ipad sleeves, Keri Muller, paper sleeves, simple intrigue, Wendren Setzer.